Country stars learned years ago that the secret to a long-lasting career is diversification. Randy Travis, Dolly Parton, and Reba are actors. Trisha Yearwood is an author. Toby Keith is a restaurant owner. Even Tim McGraw has his own line of cologne. 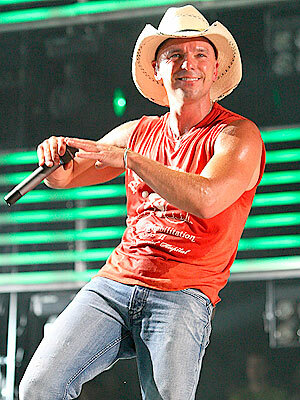 Now Kenny Chesney is jumping in the mix with his clothing line, Blue Chair Bay. The laid-back, mid-priced collection includes khakis ($72.00), T-shirts ($35.00), and ball caps, all reminiscent of Chesney's own laid-back style. The items are meant to feel like "that favorite T-shirt that you've washed a lot that is kind of sun bleached... your favorite khakis, and your shirt that you've had forever," Chesney tells People magazine. The line is currently sold at Fast Buck Freddies in Key West, Ocean Eddie's Resort Wear in Gulf Shores, Ala., and Levy's in Nashville, TN.